What are the new units? What are the balance tweaks? Savior – HP reduced from 6 to 2. No longer Fragile. This isn’t really a balance change; it’s mostly an aesthetic adjustment that we’ve been wanting to make for a while. Savior’s infopanel is quite crowded, and eliminating the Fragile keyword eliminates a line from it, making it easier to read. Plus, Savior’s 6 HP doesn’t really add anything to gameplay, since breaches seldom occur in Savior games, and Drones are usually a more attractive target. Accordingly, it makes sense to simplify the unit’s design a bit. Fragile also never felt quite on flavor with Savior, since the keyword is generally reserved for green units. Plexo Cell – Now Fragile. A lot of you complained about this one. Plexo Cell is one of the few green units that isn’t Fragile, and is the only green unit with HP greater than 1 that isn’t Fragile. How come? 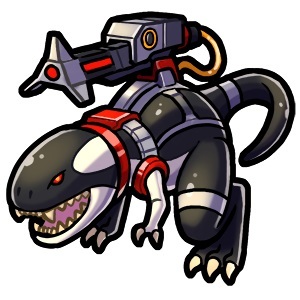 Well, we thought it was a bit redundant with the Lifespan 1 restriction of the unit, but after speaking with many members of the Prismata community, we feel we got it wrong and most players preferred the aesthetics of a Fragile Plexo Cell. One consequence of this change is that you’ll no longer see the deceptive “Absorb” keyword appearing on the battlefield whenever you use Plexo Cell as your backline defender. Thermite Core – New ability: pay 2 attack to construct 2 Pixies. Thermite core is being doubled! A recent survey among top players revealed that Thermite Core was the Prismata unit most in need of a buff. After analyzing the unit’s performance and frequency of purchase, we discovered that we could likely get away with making the unit significantly stronger. Accordingly, we’ve decided to make the unit twice as strong. One Thermite Core will now literally do what two Thermite Cores used to do. We suspect this will have a massive impact on Thermite’s position in tier lists; we hope to double the number of other units that Thermite Core outranks. Iceblade Golem – Now has lifespan 40. Our statistical analysis of all Prismata units recently revealed that Iceblade Golem has a 0.98% draw rate, which is higher than any other unit in Prismata. We understand that draws can be a serious issue in tourneys and events, where they can delay progress or force games to be replayed. Consequently, we’re taking steps in Prismata’s design to reduce the frequency of draws. Adding a long lifespan to Iceblade Golem is one such step. 40 was chosen as the unit’s lifespan after examining a wide history of past Iceblade Golem games to find a lifespan that wouldn’t affect the outcome of games that were not drawn. Note that both players can hold down the spacebar (or put a paperweight on it) to quickly advance through the necessary turns to complete the game. Tantalum Ray – HP increased from 9 to 10. We’ve had several complaints that Tantalum Ray was too strong in Blitz modes, as it conferred many of the advantages of a powerful red attacker while being on green—the most Blitz-friendly color (because of no wasted resources and easy Gauss Cannon spam). We searched for many solutions to this problem, and discovered that increasing Tantalum Ray’s HP by 1 made it much more difficult to use in Blitz games, since players needed to click their Tantalum Rays carefully to ensure that they didn’t click Tantalum Rays once they were down to 2 HP remaining. Accordingly, swiping a pile of Tantalum Rays now takes quite a bit more time, as the player has to stop their mouse on precisely the correct unit. We feel that this time penalty will help reduce the feelings of unfairness in situations where Tantalum Rays would otherwise feel too strong. Shadowfang – Now a Blocker. Many players have complained that Shadowfang’s nerf from 7RRR to 8RRR was too much, ruining the unit’s role as a strong mid-game damage dealer. We don’t feel comfortable reverting this change, but we’ve looked for other ways to help the unit out, and giving Shadowfang the Blocker ability felt like a no-brainer, since it had little risk of making Shadowfang rushes any more oppressive than they currently are. Redeemer – Now gives opponent Pixies instead of Gauss Charges. The Pixies have lifespan 1. Many players suggested that we nerf Redeemer by making it provide Pixies for the opponent instead of Gauss Charges. Although we liked this change when we tested it, we found that this pile of Pixies often turned out to be too overbearing, allowing the opponent to deny absorb throughout the rest of the game. Giving the Pixies lifespan 1 was a compromise to alleviate this problem. Frostbite – Now has Stamina 1. We’ve noticed that many new players are overzealous when clicking Frostbites, often clicking them sooner than optimal, or even using them in situations where they don’t add any additional damage. Adding the Stamina keyword is an attempt to reduce these types of mistakes, since it reminds players that they can only use each Frostbite once. Lucina Spinos – Now Fragile. Lucina Spinos has been the most complained-about unit in recent months, and we’ve examined a huge number of possible nerfs to the unit. After trying nearly everything, we’re taking the unprecedented step of applying the Fragile keyword to a red unit. We don’t take this decision lightly, but we feel that a drastic change is necessary to deal with a unit as overpowered as the current iteration of Lucina. If this change doesn’t reduce the oppressiveness of the unit, we’re considering the addition of the Frontline keyword as well. ← The Prismata Early Access Invitational is today!